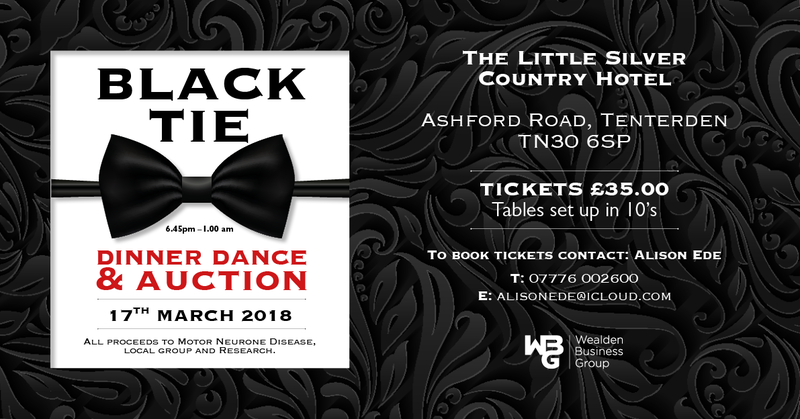 The Wealden Business Group are holding a Black Tie dinner and charity auction on Saturday, 17 March at The Little Silver Country Hotel, Tenterden. The event, which will also include a fizz reception, disco and tombola, is in aid of the Motor Neurone Disease Association. Wealden Business Group have already raised more than £6,000 for MNDA through a series of events and weekly collections, and hope that the dinner will help break the £10,000 mark. 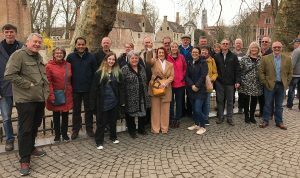 Wealden Business Group is the local organisation for small and medium companies, meeting every Wednesday for networking breakfasts, and has raised more than £25,000 for good causes in the past five years.